The Five Case Model is the approach for developing business cases recommended by HM Treasury, the Welsh Government and the UK Office of Government Commerce. It has been widely used across central government departments and public sector organisations over the last 10 years. 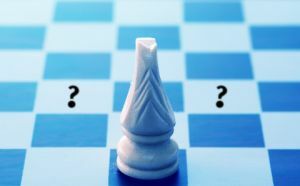 The need and logic for a consistent decision-making model is simple: if every manager, department, team or organisation arrive at decisions based on their own perception of what is best, then the likelihood of the right decision being made is lower. By having an agreed, standardised approach followed by all, then better, more uniform results are likely. This also has a supplementary benefit – once embedded, it reduces the time (and cost) it takes to develop and approve programmes and projects; all developers know what is expected and required as their schemes progresses through the planning process and the reviewers and approvers can assimilate the proposal before them more rapidly. The Five Case Model provides a discipline and structure to arrive at the best possible decision. It is not a substitute for judgement and experience – these will always be required at various points in any decision making process. It can be applied in a wide range of situations. Typically it is used for major capital schemes that will result in something being built or procured: a new hospital or school, a major IT development, a new road or similar civil engineering scheme. But it can be applied equally well to a much broader range of situations where a significant decision has to be made: a disinvestment in service x or service y, the comparison of benefits to emerge from policy/strategy a or policy/strategy b, or a major change initiative requiring re-engineering or reforming (e.g. an acquisition or merger). None of these may need a significant investment of capital, but nonetheless are significant to the success of the organisation’s goals. And all require the structure of thought and discipline that the Five Case Model brings.